The first step is to meet the basic qualification requirements for a notary public. In the majority of states, the applicant must be at least 18 years of age, a permanent resident of the state that you are applying in, must be able to read and write, and have no prior felony charges. The second step is to complete the coursework required to be a notary public and then take the exam if it is a requirement of the state. Many states do not require applicants to take an exam. In the states that do require an exam, the proof of completion of the exam must be attached with the application, or the applicant must attest that he/she has completed the required training. In some states, all an applicant needs to do is to get notary handbook and get acquainted with the laws and regulations. Download and submit an application online or submit it in person to the secretary of State’s office. The application must have the Social Security Number, full name of the applicant, permanent address, and date of birth. The applicant might also need to give permission to run a background check on him/her and they might also be asked to provide information about any criminal record in the past or attest that there are no prior felony charges. Complete and submit the application with any necessary documents or fee to the State’s office. The fee varies from state to state. 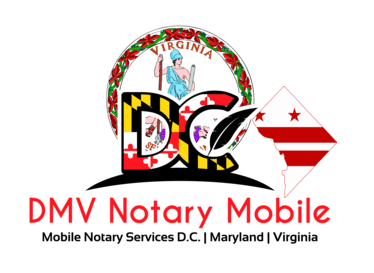 If your state requires it, the applicant might also need to obtain a notary bond. A bond is a kind of business insurance and the amount of the bond varies from one state to another. The applicant must follow the regulations of the state about when to submit the proof of the bond. The 6th step is to take an oath. Who may administer the oath and the conditions of the oath varies from state to state. Depending on the state, an applicant might take an oath in a courtroom, county clerk’s office or even online in some cases. The last step is to purchase the stamp or notary seal. Many office supply stores might not sell one without identification or proof of commission. A simple Google search for your area will also have available options as well. Generally, a seal includes the name of the notary, commission number and a phrase that identifies you as a notary in the state. These requirements may also vary from state to state. Follow these simple steps to become a commissioned notary public.